Big loot big profit. 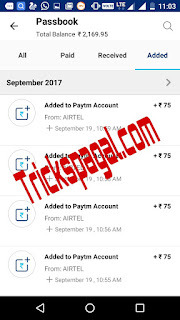 Airtel payment bank has came with an amazing offer for new user. 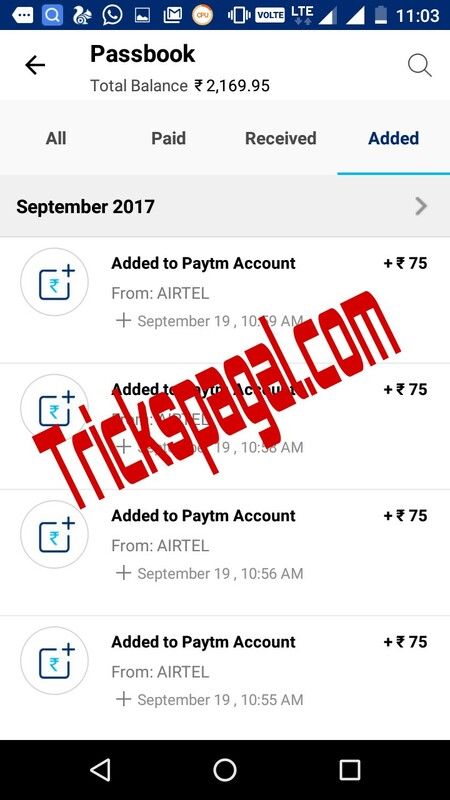 those who transact an amount of rs 150 or more first time with airtel payment bank with get 50% Cashback return within 3 working days. The offer is valid upto 30th September 2017 so loot it as fast as you can. 4) Transact it with any website using the debit card generated on airtel bank app. 5) You can use wallets like paytm , Rupizo , Payzapp etc for rotating rs 150 from generated airtel debit card to your bank. 6) rs 75 Cashback will be credited to your account within 3 working days. 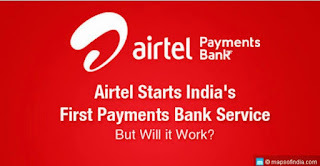 7) Debit out the money via airtel payments bank generated debit card. The offer is applicable only when the transaction is done through Airtel Payments Bank (wallet, savings account, online card) on Myairtel app, airtel website, USSD, biller websites or online website/apps. Maximum cashback applicable is Rs.75. Offer is valid from September 6th, 2017 to September 30th, 2017. In case of any disputes, Airtel Payment Bank�s decision will be final.